Or as we like to call it – home! 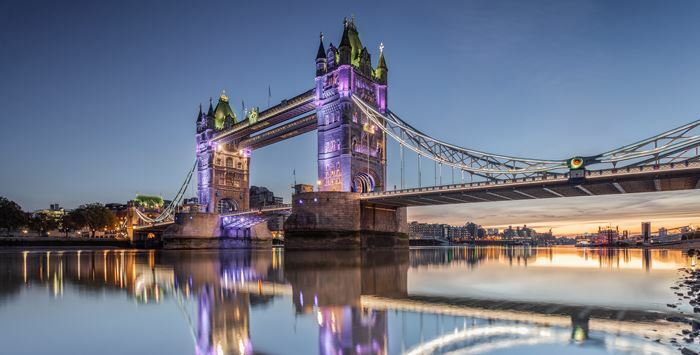 This is where you'll be whizzing out on your Thames Rockets, and we think it's the perfect base. 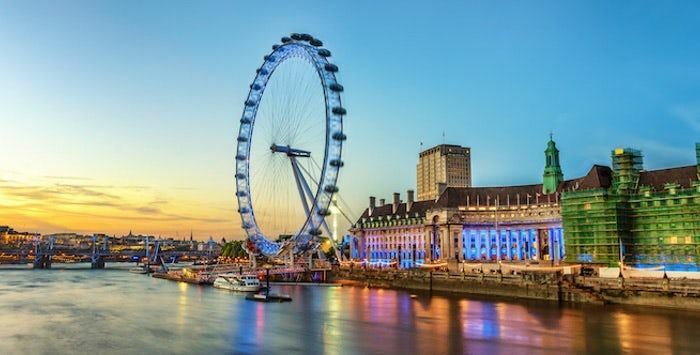 443 feet tall and 394 feet in diameter, the London Eye is the most successful tourist attraction in the UK, with 30 million people riding the London Eye since March 2000. A rather nice place to live we think! Certainly for the Duke of Somerset who began building his dream palace in 1547. Somerset House is now home to art galleries, an ice rink in the winter and a cinema in the summer! The same 'Mr Tate' of 'Tate and Lyle' sugar fame opened the Tate Britain way back in the 1880's for his classical art collection. 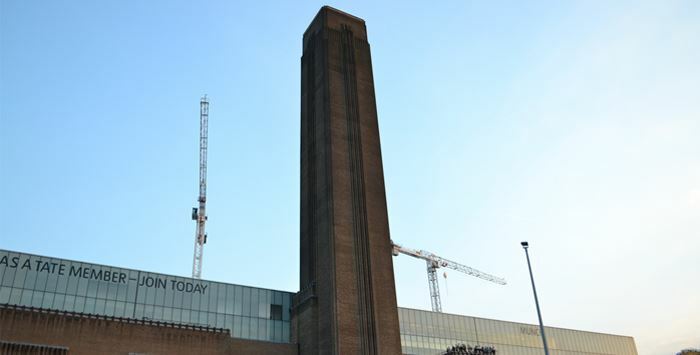 What is housed here in the old Bankside power-station is its up to date younger brother - the Tate Modern. Now a staple of the London skyline, 30 St Mary's Axe, more commonly known as 'The Gherkin', was opened at the end of May 2004. Designed to maximise daylight and reduce the need for artificial light, with reduced carbon dioxide emissions and energy use due to its aerodynamic form, this is an all green super slick construction by the seemingly ubiquitous Norman Foster. This is one of the most significant battle-ships of our recent history. It's 6th June 1944. 06.30 and as the sun rises one of the most important events of modern history is about to take place. It would become known as D-day. 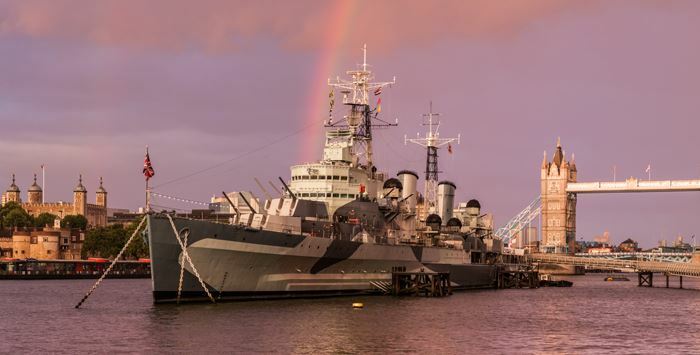 HMS Belfast was the largest ship in the British fleet and it's these guns, with a range of 12.5 miles, which started firing at Hitler's troops on that historic day. 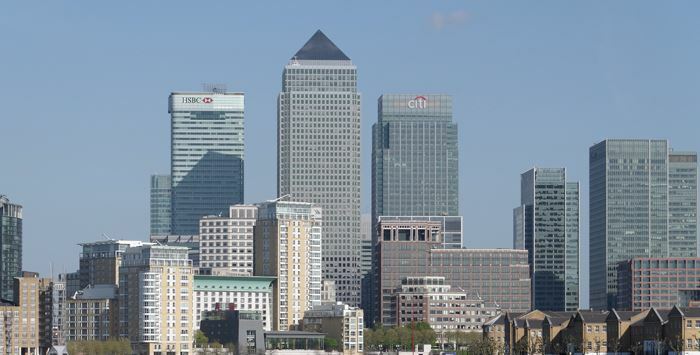 Canary Wharf is home to some of the tallest buildings in the UK. 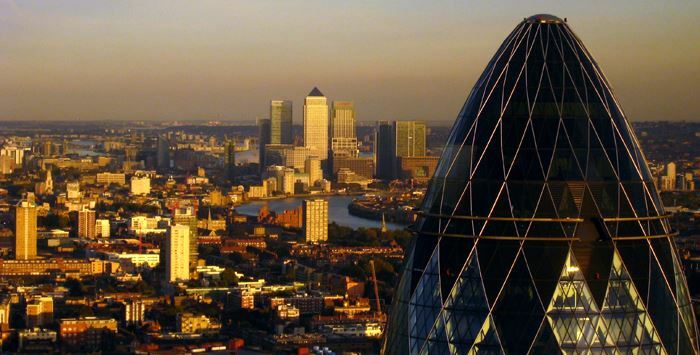 These are the world or European headquarters of some of the worlds major banks, professional services firms and media organisations including Barclays, Citigroup, Credit Suisse, HSBC, J.P. Morgan, KPMG, MetLife and Morgan Stanley. Ker-ching! The awesome Victorian façade of this English Gothic Perpendicular Architecture (now that's a mouthful!) is sure to take your breath away from our particular vantage point on the river. The eponymous bridge of our city! 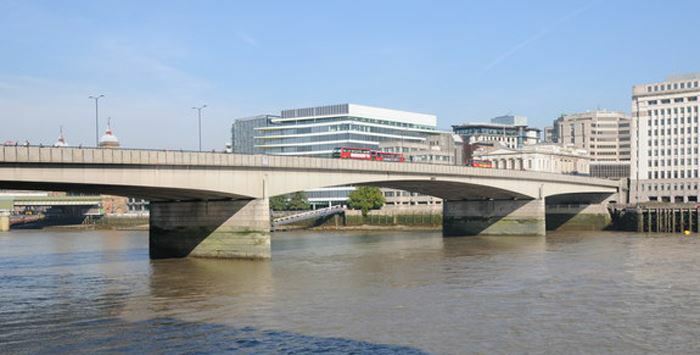 London Bridge has stood on this site for nearly 2000 years. Not the prettiest bridge in London (which is probably why many visitors confuse London Bridge with the much more opulent Tower Bridge), but certainly one of the most important. 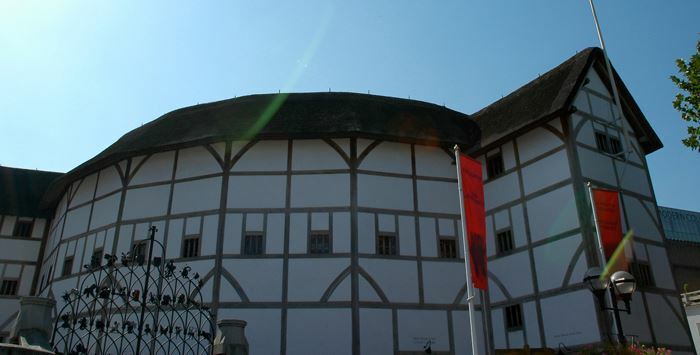 Ah, Shakespeare's Globe, the only building in London today since the Great Fire of 1666 that is allowed by law a thatch roof in its construction. See Shakespeare as it was originally in this beautiful replica near its original location on the South Bank. 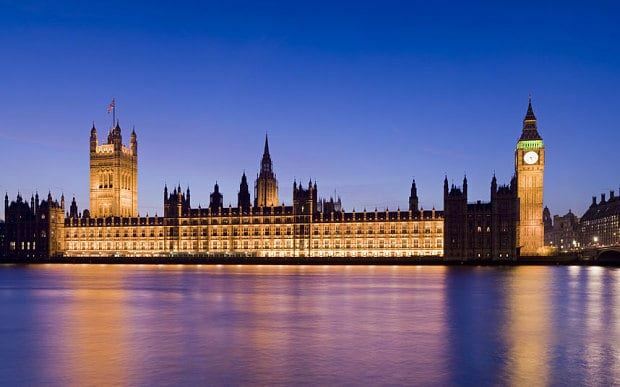 Many people who visit the capital comment that one of its greatest charms is the diversity of the architecture. From one building to the next you can travel hundreds of years. 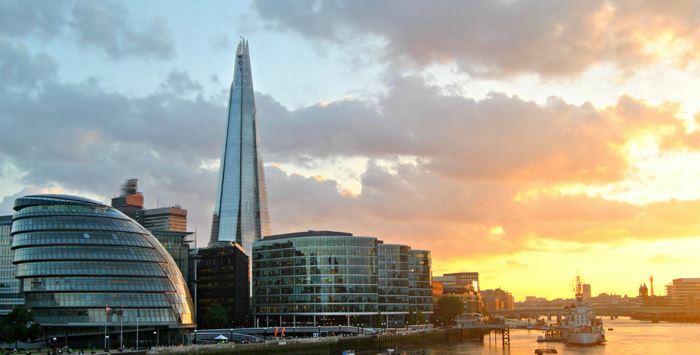 The Shard continues this tradition with the highest viewing platform in Western Europe. To see this bridge open in the centre archway for the first time in 1894 must have been an amazing sight. Quite frankly we think it still is! Sail under the centre bascules with Thames Rockets to truly appreciate this piece of Victorian super-architecture! 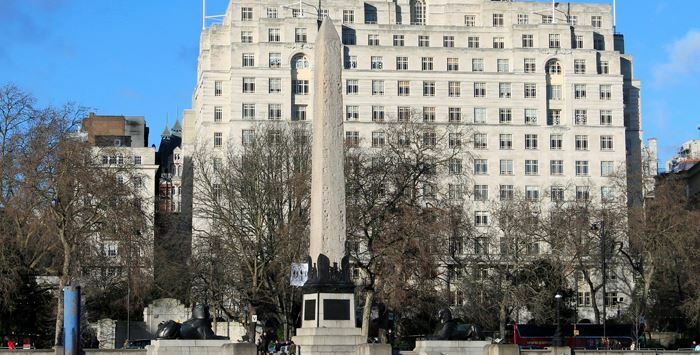 On the north bank of the Thames, this Egyptian obelisk is one of the oldest things you will see in London (other than the river of course!). Over 3500 years old, it was given as a present from the ruler of Sudan (named Mohammed Ali – no relation!) to Nelson for his part in the Battle of the Nile 1798.